A new report by Human Rights Watch- HRW has pinned the Uganda police force as the top violator of human rights in the country. Based on occurrences of 2017, the report says that police and associated security agencies assaulted ordinary people on several occasions. The report points to the biased treatment of the opposition members whose gatherings and demonstrations were violently stopped by police. HRW points to the recent consultation campaigns by members of parliament on the constitutional amendment of the age limit as case in point. The report states that two people were killed in the western district Rukungiri and another in Amolatar district at the hands of police. Despite the fact that there was evidence that police shot these people instead the courts charged the main opposition leader Dr. Kizza Besigye and his colleagues with their murder. 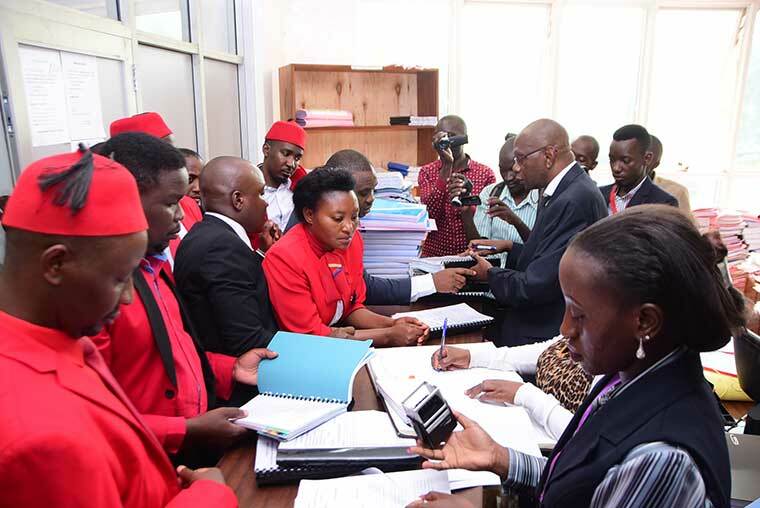 Six members of parliament Jonathan Odur, Mubarak Munyagwa, Gerald Karuhanga, Ibrahim Ssemujju Nganda, Allan Ssewanyana and leader of opposition Winfred Kizza filed a petition in the constitutional court challenging the constitutional amendment law that was passed in December 2017. The petition addresses the illegalities that were involved in the passing of the constitutional amendment as well as the suspension of the MPs by the speaker of parliament. The court challenge states among other matters that the citizens of the country were not extensively consulted before the bill was passed into law and this contravenes articles 1, 79 and 8A of the constitution. 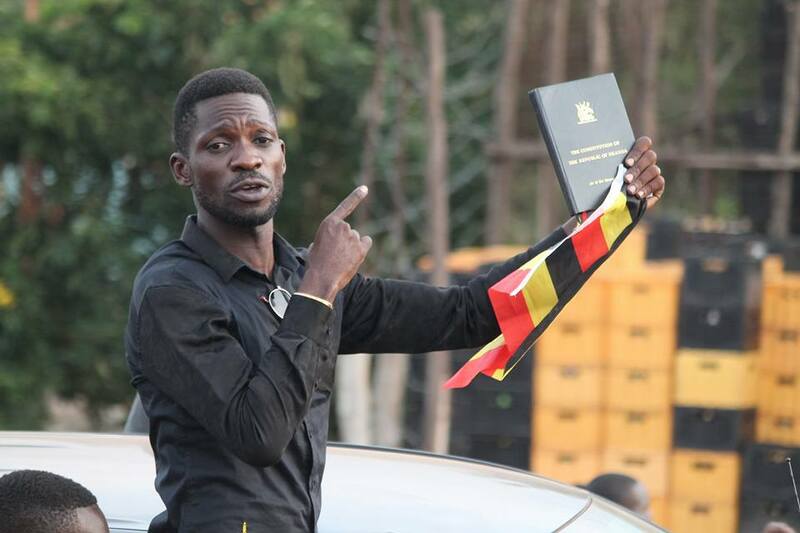 The petition also states that the extension of the parliament’s term of office from five to seven years was smuggled in the age limit law because it was not in the original bill and this contravenes articles 1, 8A 79 90,91, 94 and 259 of the constitution. Member of Parliament for Butembe Nelson Lufafa was blocked from attending and speaking at a funeral in his constituency by angry residents who accusing him of betraying them by voting for the amendment of the constitution which was against what they had chosen as his constituents. He was pelted with stones and was only rescued by police. 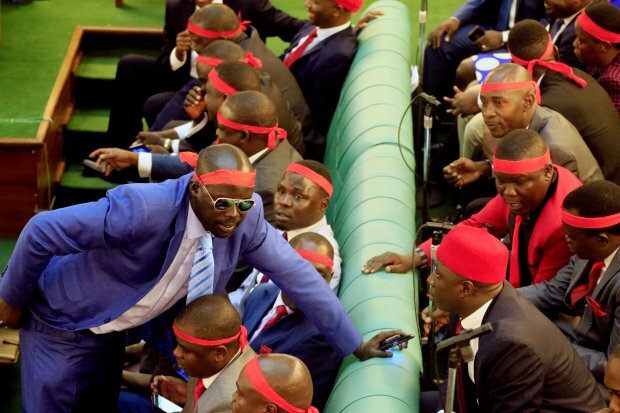 Three of the members of parliament from the ruling NRM party that voted against the amendment of the constitution declared that they are unapologetic for their actions. Connie Galiwango, Justine Khainza and John Baptist Nambeshe went against the party position when they voted against the amendment. The party’s disciplinary committee concluded that the MPs would write to the them explaining why they voted against the party position. The three MPs say they are not going to apologize for doing what their constituents sent them to do. Justine Khainza, the Bududa Woman MP insists that she did nothing wrong because she voted according to what her constituents told her. She also condemned the MPs who added the clause that extends the MPs term of office from five to seven years yet it was not part of the original bill. The chairman of the electoral commission Simon Byabakama told to the legal and parliamentary affairs committee of the parliament that the Electoral Commission does not have the necessary funding to organize a referendum scheduled in August this year on the matter of increasing the presidential term limits from five to seven years. After the parliament passed the constitutional amendment law which added the MPs two more years to their current five-year term, the same committee wanted to extend the president’s term in office by seven years. This however can only be done through a referendum. The Electoral Commission has no funds for the referendum.